Boarding in Nantes between 18.00 and 19.00. After comfortably settling into your cabin, enjoy a welcome cocktail with the crew before dinner followed by an evening of entertainment. CLASSIC: tour of Saint Nazaire, a town on the sea. Visit of Escal’Atlantic and the Saint Nazaire shipyard, one of the largest shipyards in Europe. (This excursion must be pre-booked in advance. Each passenger will be asked to produce a valid passport or identity card in order to gain access to the shipyard). CLASSIC: Guided visit of Guérande, a fortified medieval city entirely enclosed by ramparts. 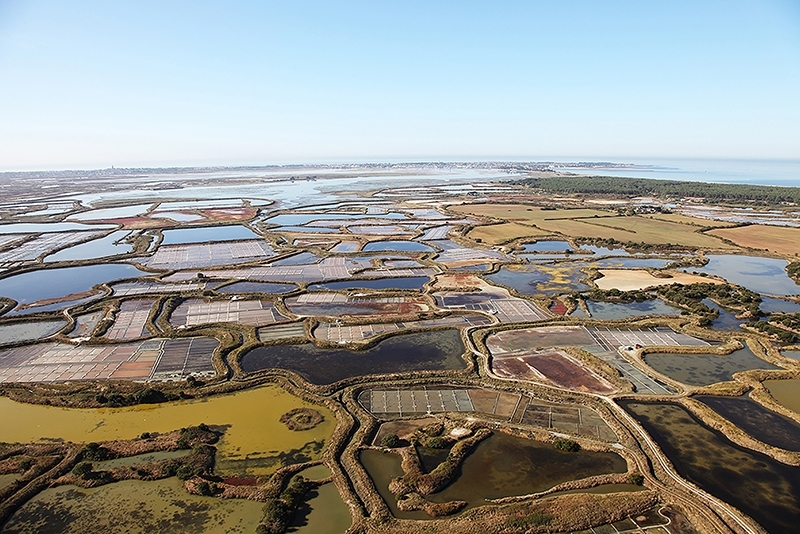 And discovery of the process of harvesting Guérande salt, the undeniable symbol of the region and how the marshes work. DISCOVERY: Hiking in Guérande. Take a hike through the medieval city of Guérande and its salt marshes. Afternoon spent cruising to Nantes. In the evening, optional cruise on what King Francois I called the “most beautiful river in France”: The Erdre. DISCOVERY: Helicopter ride (2), the Loire from above. Leaving from Ancenis, experience an unforgettable flight over the Loire River. The cruise continues to Bouchemaine. Evening of entertainment provided by the crew. In the afternoon, optional excursion common for both packages : Guided visit of Saumur and the Cadre Noir (3), which is on the Representative List of the Intangible Cultural Heritage of Humanity and visit of the fortified city of Saumur. Evening of music and dancing. 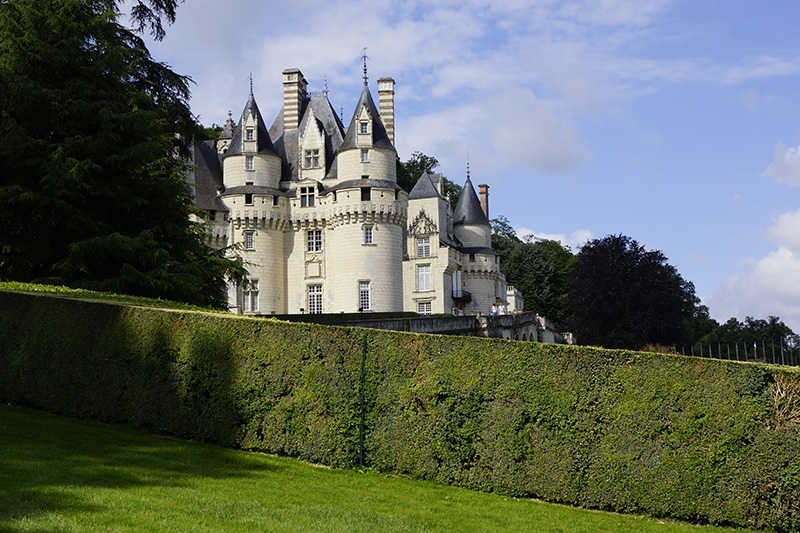 The day is spent on an excursion to visit the Castles of the Loire Valley. CLASSIC: excursion along the Angevine Corniche, with pretty little villages and many viewing points along the Loire. DISCOVERY: Biking along the Loire. Enjoy a scenic bike trip along the Maine and Loire Rivers including charming typical villages. This afternoon is spent cruising the Loire. Gala dinner on board followed by an evening of music and dancing. Breakfast on board. Disembarkation around 10.00. 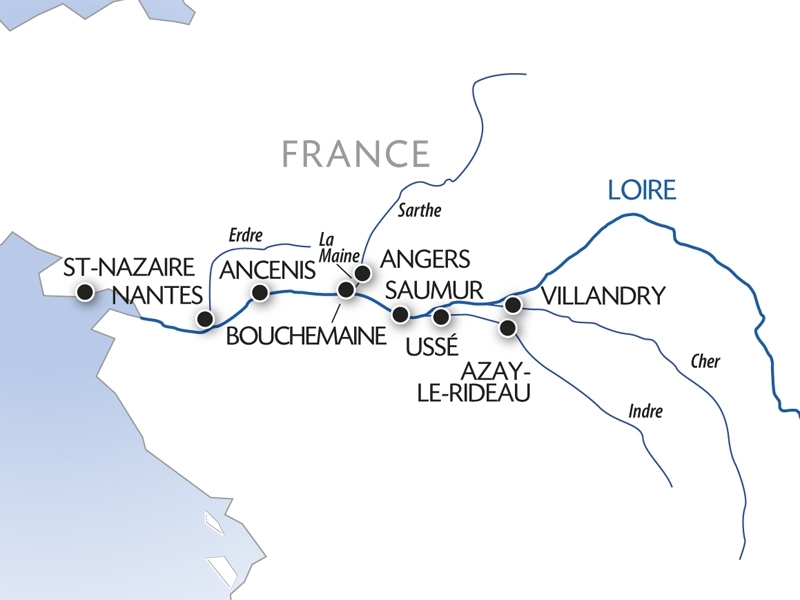 (1) Depending on docking availability, stopover in Bouchemaine may be replaced by Chalonnes-sur-Loire. In this event, order of excursions could be altered. (3) Guided visits do not guarantee that you will see the riders and horses at work during the visit, particularly if the Cadre Noir de Saumur is away, or during competitions.